Royal Hibernian Academy (RHA), Dublin, 23 November 2017. In his opening address, Director of the RHA, Patrick Murphy, suggested that the Irish visual arts community urgently needs clarity regarding the legislation that surrounds artists’ estates. In the last year alone, five RHA members have passed away, raising pertinent questions about valuing cultural heritage and preserving artistic legacies. Since the mid-twentieth century, there has been a reliance on auction houses for documentation, yet even in the digital age, managing a lifetime of artistic material remains a difficult task. Murphy warmly welcomed the prospect of professional guidance across a range of subjects, including estate models, copyright law and the transfer of capital in relation to artists estates. Reiterating the timeliness of the event, conference chair, Cliodhna Ní Anluain, introduced the first speaker, Henry Lydiate, by asking the all-important question: “where does art go?” Ní Anluain suggested that this inquiry is as much about material culture, as it is about legal frameworks, because it considers the extent to which artistic outputs are valued at the time of an artist’s passing. As an international art lawyer, business consultant and strategist with a life-long commitment to the arts, Lydiate has had dealings across the world, working with innumerable high-profile artists to put systems in place “before the trouble starts” – often before the art is even made. I am very familiar with Lydiate’s long-running ‘Artlaw’ column in Art Monthly and was enthusiastic to hear his expert insights. Lydiate delivered a vibrant keynote presentation on the patently vast subject of ‘Managing Artists’ Estates’, to a diverse audience at the RHA, comprising artists, relatives of artists, archivists, representatives of cultural institutions, trustees and administrators of artists’ estates. He commenced by outlining the tangled scenario of Francis Bacon’s estate. According to Lydiate, Bacon was not in the least interested in the commercial or bureaucratic aspects of being an artist. He refused to plan anything, was against any form of documentation and was “scared to death of signing anything”. When Bacon died in 1992, his companion, John Edwards, was named as the sole heir, while two executors were appointed: Bacon’s artist friend Brian Clarke and his long-time dealer, Marlborough Fine Art. Needless to say, having the gallery as executor was a huge conflict of interest and the gallery director was eventually removed, leaving Clarke the task of singlehandedly managing Bacon’s estate and identifying where all his work had gone. There was 40 years’ worth of documentation in his gallery, but Bacon had signed none of it. While Bacon did not care about posterity, many other artists do. Lydiate directed the question to all living artists: “Do you care about what happens to your art after you die?” If so, the practical steps artists can take start with planning an archive, assembling a categorised inventory of work and leaving recorded instructions about your wishes. According to Lydiate, estate planning can often be viewed as an artist’s “last and potentially enduring creative act”. However, the inheritance of an artists’ estate can frequently leave serious problems for families, in terms of the legal, financial, administrative, commercial and artistic implications. Surviving family members inherit an artists’ lifetime of work, yet often they are not experts or gallerists and know very little about art. Lydiate gave the example of a previous client, the daughter of an artist, who had inherited a studio full of super 8 films. Her father had instructed her to “go and see Henry” after his death, who would advise her on the importance of preserving these works. The films were eventually gifted to the British Film Institute. Artists are living longer and there are many more artists in their 70s, 80s and 90s than before, fuelling the idea of legacy as something that needs to be addressed. According to Lydiate, “the melancholy truth is that the vast majority of artists often do not receive either market recognition or cultural recognition in their lifetime”. Given that many artists cannot afford to contribute to a market pension, some are using the strategy of “keeping back unsold works” to supplement their income in old age.In terms of planning an artistic estate, it is best to establish a legal entity or a trust and to appoint carefully selected executors or trustees – not family or friends, as they may not have the skills to manage it. However, it is common to have a representative of family on the board. This arrangement can be conveyed to the family as “not wishing to burden them with this responsibility”, while emphasising the importance of consulting neutral and independent experts for advice (such as gallerists or critics who love the artist’s work). Executors should not have a professional relationship with the estate. Gallerists can monetise an estate, presenting a huge conflict of interest for executors. Lydiate gave the example of the Rothko Foundation, of which the director of the Marlborough Fine Art was also appointed as executor. Over 700 unsold Rothko’s were “sold” to the gallery for one tenth of their market value, resulting in a $9 million lawsuit subsequently being taken against the gallery by Rothko’s family. As highlighted by Lydiate, trust, openness and honesty are key to managing an estate, as is understanding the reputation and legacy of the artist. Good commercial galleries are beginning to address this issue. There are a number of ways that galleries can help by storing or preserving works belonging to an estate, as long as this is outlined in a contract. In situations where the death of an artist is sudden or unexpected, it is important to have a will outlining the wishes for the artist’s estate. Andy Warhol died suddenly after a gallbladder operation went wrong, however his business advisor, Fred Humes, had previously made him write a will. All of Warhol’s money was given to his family in Philadelphia but his art went to a foundation, with trustees of the foundation named in his will. The foundation held unsold works, but had no money. They could not afford to flood the market with the work of an artist who had just died, so they had the brilliant idea of selling some of Warhol’s personal and domestic items – including his clothes, wigs and ephemera – which were auctioned at Sotheby’s for $110 million, providing the financial endowment for the foundation. The foundation later decided to open a museum.As demonstrated by the example of the Warhol Foundation, it is possible to divide an artistic estate into portions, with different provisions being made for different assets. Tangible assets include: immovable assets (e.g. real estate); moveable assets (e.g. tools and equipment); and artworks. Living artists should consider whether artworks are finished or unfinished, for sale or not for sale, as it is difficult for a family to make these decisions afterwards. If an artwork is unfinished, it may be of scholarly interest to researchers. Intangible assets include: intellectual property rights; sale of unique or limited-edition objects; copyright (valid until 70 years after the death of the artist); resale rights; design rights/trademarks; and patents (as in the case of Yves Klein’s ‘International Klein Blue’). In addition, one needs to consider the length of time someone will manage an estate. An estate can’t go on “in perpetuity”, if it has no assets. The romantic sounding “sunset estates” do not go on forever; they have a fixed-term. Possible exit strategies might include donating an estate to an institution (such as a library, archive, museum, or university). Lydiate emphasised that managing an artists’ estate should not be driven by law; rather, law should be used as a tool to help create a legacy and manage it efficiently. As a niche subject, very few publications to date have addressed the issue of artists’ estates, aside from Lydiate’s regular Artlaw column (featuring in Art Monthly since 1976) and a 1998 publication, A Visual Artist’s Guide to Estate Planning, by New York-based arts and cultural heritage lawyer, Barbara Hoffman. However, according to Lydiate, interest in the subject has grown considerably over the last few years, attributable to many factors including: an increasingly industrialised contemporary arts ecosystem; a new business model that sees more galleries taking on artists’ estates; and the burgeoning global contemporary art market. Offering some statistics on the latter, Lydiate highlighted that between 2009 and 2016 – in the period following the recession – the global spend on art increased by 43% to $55 billion in 2016, half of which was spent on ‘Post-war and Contemporary Art’. Within this section, 41% was spent on works by living artists, with 85% of these works selling for less than $50,000. Based on these statistics, the strong implication is that these were investment purchases by young collectors, with the expectation that prices will undoubtedly rise considerably after an artist’s death, when no more work can be produced. This was evidenced in an example cited by Lydiate of Picasso’s Les Femmes d’Alger (Women of Algiers), which sold at Christies in 2015 for $179.4 million (having previously been bought in 1956 for $212,000). This was the previous record for a painting sold at auction, until Leonardo da Vinci’s Salvator Mundi (Saviour of the World) was recently purchased in New York for the spectacular sum of $450 million. The next speaker was Oliver Sears, director of a commercial gallery in Dublin and advisor to art collectors. In assessing how we came to have a need for artist’s estates, Sears outlined a brief history of the art market which is over 5000 years old, yet for approximately 4800 years, works of art were simply commissioned. This was an artisan model; Kings, Pharaohs and princes of industry all commissioned artworks. It wasn’t until eighteenth century Dutch artists began to paint landscapes themselves (in the context of a confident trade nation), that and there was a proliferation of independent artists, beyond the artisan or master-apprentice model. In 2017 – exactly one hundred years since Duchamp’s urinal, Fountain (1917), which ushered a host of artistic movements including Futurism, Conceptualism, Surrealism and Pop Art, marking the apparent “end of art” – there is an incredible number of artists making work. When they die, we have to figure out what to do with the artworks that remain, raising a range of issues, not least the conflict that can occur between estate heirs and the problematic process of authentication. Sears outlined his own experiences of dealing with the late William Scott’s estate, in trying to authenticate a piece believed to be Scott’s work. The process of “declaring what’s real and what’s fake” has massive implications for investment choices, and is further complicated by estates charging collectors to validate the work or include it in the archive. Sears cited Matisse’s estate – inscrutably managed by his secretary who had vast knowledge of his work, but never made money out of the estate – as the perfect scenario. There are many pitfalls and ways that an estate can actually damage the market. As recounted by Sears, Pierre Le Brocquy (son of the late Louis Le Brocquy and manager of his estate) worked hard to boost the artist’s profile and price-point, but became disillusioned during the economic recession. Sears suggested that he may have been better to purchase Louis Le Brocquy works at a reduced price during the recession, in the way that companies buy their own shares during dips in the stock market. The Oliver Sears Gallery represents the estate of the late Barrie Cooke. The gallery did not represent Cooke while he was alive, and his own gallery felt it would be a conflict of interest for them to manage his estate after his death. In managing the legacy of an artist of such “huge stature”, Sears began by examining the collection to assess valuable work and to identify ways to promote the collection. A major work by Cooke was since sold to the National Gallery of Ireland during an exhibition, and there are plans to take the collection to New York in the future. The Irish Visual Arts – A Coming of Age? Robert Ballagh has worked as a professional artist for over 50 years and has been associated with a number of artists’ campaigns. His first exhibition took place in 1967, at a time when “an artist was a very difficult thing to be in Irish society – now too, but more so then”. In 1980, he set up the Association of Artists in Ireland, meeting with civil servants to campaign for better conditions for artists, tax exemption and the introduction of the Per Cent for Art scheme. Ballagh’s case against the state in 2006 became a catalyst for the introduction of Artists’ Resale Right in Ireland – an EU directive given in 2001 to benefit the spouses of artists who died during WWI. To anticipate this legislation coming into law in the Irish context, IVARO was founded and a 2012 campaign was later launched to explain the filtering down of resale rights to the heirs. Ballagh is currently the chairman of IVARO. On the subject of his own artistic estate, he conceded that most of his artworks were made for commission, so there aren’t that many works to be accounted for in an estate. Ballagh will leave his archive to the National Irish Visual Arts Library (NIVAL) for prosperity, comprising documentation pertaining to various commissions. 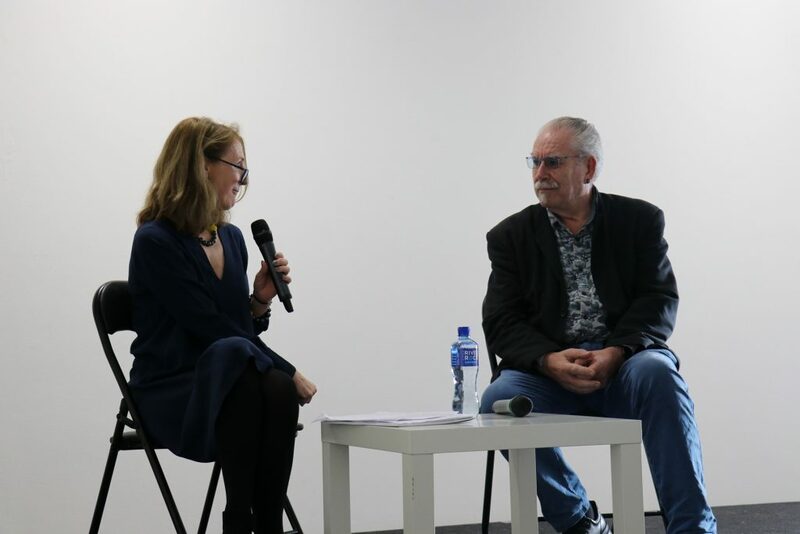 During the panel discussion that concluded the morning session, Patrick Murphy commented that he cannot think of another example in Ireland where a commercial gallery has managed an artist’s estate. He suggested that perhaps we, in the Irish arts community, are “on the cusp of gaining sophistication in that regard”, in “beginning to value our own heritage”. In response, Ballagh cited Leo Smith of the commercial Dawson Gallery who managed the estate of Jack B. Yeats and did a good job of boosting the collection value and profile. 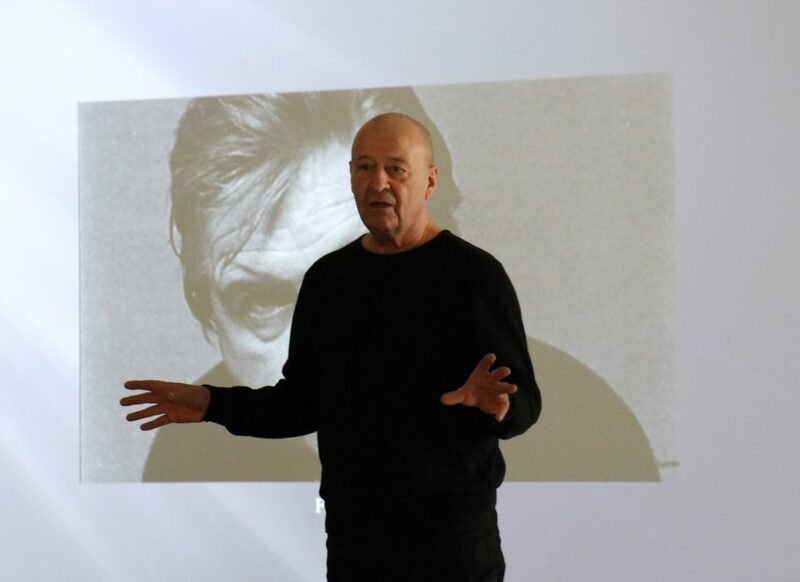 When asked for examples of best practice regarding the management of artists estates in Ireland, Patrick Murphy cited the late Tony O’Malley’s estate as being extremely well-managed by his wife, Jane O’Malley. Over the past 15 years, Jane – who is also a practicing artist – has developed a digital archive of O’Malley’s work and has mounted several retrospective exhibitions. After Jane passes away, two arts professionals (rather than family members) will be appointed to manage the estates of both artists. Cliodhna Ní Anluain raised the issue of administration and how things are different since digitisation. Lydiate commented that, in recent years, there has been a huge shift within the arts ecosystem, driven by digital technology. Gallerists are reducing their overheads, shifting “away from bricks and mortar galleries and reaching out to a global audience with jpegs”. Online platforms allow smaller galleries or action houses to cluster together, ensuring that the buying and selling of art is now open to everyone, not just a closed niche community. Lydiate highlighted the fact that younger artists are embracing digital technology to authenticate their work, using alternative storage systems such as Blockchain to secrete information within artworks themselves, in a process akin to DNA. Kicking off the afternoon session, several invited legal and business professionals offered pragmatic insights into the process of establishing an artist’s estate, while explaining some of the financial considerations, such as inheritance tax. Gaby Smyth provides business consultancy across artforms, including the visual arts and literature, and has worked with the high-profile estates of Irish poet Seamus Heaney and Welsh sculptor Barry Flanagan. Smyth wasted no time in outlining best-practice guidelines for establishing an artist’s estate: (i) It is imperative to get detailed, intimate and unambiguous instructions from the artist while they are alive; (ii) Get agreement or consensus from the family, where possible. Full unanimity is not always necessary, but it is important to make sure that everyone agrees to operate as shareholders. According to Smyth, it is important to “keep emotions out of it”; (iii) Seek professional legal advice. Professionals need to be carefully selected and once you professionalise the model, they are accountable to the family. Professional conflicts of interest should be wilfully avoided from the outset. Using the Barry Flanagan estate as a case study, Smyth outlined how Flanagan had two years to prepare for his death after being diagnosed with motor neuron disease. In effect, Flanagan had “advance notice” that Heaney didn’t have, offering him the opportunity to “get things in order”. Flanagan interviewed a range of professionals in London to discuss his options and to talk through the various scenarios that might arise after his death. He wanted his artist’s estate to function as a commercial trading entity and he made provisions for how the stakeholders would be paid. A board of directors was appointed to ensure that the business would be run by professionals, with benefit accrued to the family. Flanagan outlined the parameters for future editions. He left instructions for sculptures to be cast posthumously until editions are complete and only declared editions would be stamped. This effectively produces a “living archive”, rather than just a body of work to be managed. It is a good example of an “in perpetuity estate”; in other words, if moulds are beyond repair, then manufacturing and trading ceases. At that stage, they will look at liquidating into a trust or gifting part of the collection to a public institution like Tate or the Henry Moore Foundation. Shareholders will be paid at that stage, and capital gains will be paid on the inheritance of the estate. As chair of Flanagan’s estate, Smyth has no shareholding and therefore no conflict of interest, as he does not stand to benefit from any decisions made. In general, the family is kept outside the decision-making process, however they are consulted. The estate doesn’t have professionals onboard – they simply buy expertise on topics, such as legal advice, if and when they arise. Activities of the estate to date include: compiling a Catalogue Raisonné – a comprehensive, annotated listing of all the known artworks by Flanagan; working with Flanagan’s gallery to digitise his archive; sponsoring PhD research; purchasing exemplary collections, such as a chess set that was recently sold at Sotheby’s; and building a body of work that will ultimately be housed in some public institution. Smyth conceded that they were lucky, because Flanagan was very astute, well-known, wealthy and had two years to “get his affairs in order”. Chartered Accountant and tax consultant Donal Bradley offered specialist insights into a range of personal taxation policies, including artist’s tax exemption, sole trader options and tax breaks on pension contributions. However, his expertise on the subject of succession planning and gift and inheritance tax – also known as Capital Acquisitions Tax (CAT) – proved particularly illuminating. The tax-free threshold for a son or daughter heir is €310,000 (less for a grandchild or niece/nephew). After this sum, a 33% tax rate is payable. In offering advice on minimising CAT, Bradley suggested that inheritance could be “paid in instalments”, rather than leaving a lump sum. Up to €3000 can be paid tax-free each year, to multiple children or grandchildren. Bradley emphasised that it would be shrewd for artists to carefully structure their gifts, property and assets before death, to avoid passing on a significant inheritance tax. Another excellent suggestion would be to take out a life insurance policy, as these proceeds could be used to cover any inheritance tax due. But at the very least, making a detailed will is crucial, to put your plan into action. In the subsequent panel discussion, Irish artist Dorothy Cross asked whether it is possible to give gifts to nieces and nephews over a series of years, or alternatively, to give one larger gift between them each year. Bradley confirmed that this approach is perfectly viable. Another attendee asked about the process of valuing a collection and calculating inheritance tax. According to Bradley, a professional evaluation is undertaken by consulting catalogues, galleries or auction houses, in order to assess any projected sales or cashflow. This information is then passed on to finance professionals who establish figures and predict how works might sell. The artist’s estate or family can challenge the valuations or present a case supported by “realised value”, evidenced through recent sales. You only pay tax when you sell an artwork or collection; until then, it is classed as an asset. Frank O’Reilly from the Whitney Moore Law Firm reiterated some of these issues relating to taxation in Ireland and the legal rights of spouses when inheriting estates. He also discussed the EU Succession Regulation directive for resale rights and royalties, as well as offering valuable insights into the various estate models, making important distinctions between foundations and limited companies. According to O’Reilly, foundations have charitable objectives and can be developed in a style specified by an artist in their will. Foundations are set up by deeds of trust and trustees are necessary. The choice of executors/trustees is critical, and benefactors can also be one of the trustees. Foundations are more expensive to set up and maintain, as there are compliance costs involved. However, foundations are less scrutinised by tax – accounts need to be filed as charitable assets. If considering a trust model, gifting items to a public venue will ensure that they are free of tax. In contrast, a limited company is an ongoing trading vehicle. It is easy to set up, the rules are well-established, and the main objective is profit. If the aim is to create or manufacture extra editions or generate a higher profile for the estate, then it is often better to set up a limited company. As library assistant at the National Irish Visual Arts Library (NIVAL), Katie Blackwood offered poignant archival perspectives on the importance of forward-planning regarding artists estates. NIVAL was started by NCAD librarian Eddie Murphy, with the aim of documenting all aspects of twentieth and twenty-first century Irish art and design. NIVAL does not collect artworks, rather it preserves supporting documentation from artists’ careers and makes these documents available to the public. Affectionately nicknamed “The Stasi” by one NCAD staff member (based on its seemingly secret institutional activity), NIVAL offers a primary source record of events, without making judgements about what may or may not be significant. NIVAL collects documentation that might not ordinarily be circulated in the public realm. Ephemeral events such as performances can be particularly difficult to document, so the archive has appointed several regional collectors, who attend exhibitions in different areas. NIVAL houses the most comprehensive library collection of published books, journals and catalogues pertaining to Irish art and design. The collection also contains ephemera files, outlining “the backstory of art” found in printed material such as press releases, invites, press cuttings, exhibition reviews, brochures, price lists and small-scale catalogues. Documents pertaining to the behind-the-scenes running of various art organisations and festivals are also housed in the collection including: gallery plans, exhibition programmes, correspondence, letters, financial notebooks, administration, diaries, minutes from meetings and visitor books – all of which help to build the bigger picture of artist’s careers, exhibition programmes and artistic networks across different time-frames. NIVAL also houses Special Collections – archival material that originated from one source and is purposefully kept together as self-contained collections in the original sequence. Topics of interest include the evolution of catalogues – from black and white to glossy, and from DIY to digital. In 1999, NIVAL acquired documentation relating to the Irish sculptor and former NCAD lecturer, Peter Grant (1915–2003), who set up the Institute of Sculptors of Ireland in the 1950s, long before the establishment in 1980 of the Sculptors’ Society of Ireland (now Visual Artists Ireland). Grant’s studio was donated to NIVAL, along with his tools, notebooks, unfinished sculptures, holiday photos and other ephemera. Irish artist Lillias Mitchell (1915–2000) set up the weave department at NCAD. The Golden Fleece award was set up under her instructions. Maquettes, research notes, textiles and audio-visual documentation pertaining to Mitchell’s work was donated to NIVAL in 2009. Irish painter Patrick Scott (1921–2014) also bequeathed his archive to NIVAL, which included a scrapbook of photographs and press cuttings. Irish critic and art historian Dorothy Walker (1929–2002) bequeathed 36 large boxes of material to NIVAL. Walker was a member of the International Association of Art Critics (AICA), co-founder of the international exhibition ROSC, and interim director of the Irish Musuem of Modern Art (IMMA). The boxes contained a collection of Walker’s critical writings, minutes of meetings and correspondence with international figures such as Seamus Heaney, Clement Greenburg and Joseph Beuys, offering huge insights into Irish and international twentieth-century art. Walker organised everything before she died, and archivists and librarians like to keep things in a meaningful order, where possible. The Dorothy Walker Collection was catalogued and funding subsequently allowed for an exhibition. Marie McFeely is Images & Licensing Officer at National Gallery of Ireland (NGI), and is in charge of managing the gallery’s intellectual property. The NGI, which recently reopened its historic wings after a six-year refurbishment, houses a collection of 16,300 artworks, 25% of which are currently in copyright. These artworks are often used to promote the collection using approaches such as reproducing images on merchandise sold in the shop. According to McFeely, without legitimate rights and clearances, museums cannot fully utilise their collections. The museum has been given copyright on images by some artists as a form of donation and support. The NGI has traced the estates of over 300 artists – a process that involves tracking down copyright heirs, mediating on behalf of estates and developing a copyright database. McFeely outlined the fascinating and complex copyright case of Irish painter, Paul Henry, which proved hugely problematic for the museum. Henry was married twice and died intestate, necessitating a widespread search for the rights-holders. The NGI began by examining the will of his second wife, Mabel. She named her two best friends in her will and those women stood to inherit Henry’s copyright royalties. The first friend died but her adult children live in Wicklow, so they were contacted, even though they aren’t related to Henry. The second friend named in Mabel’s will lived in Terenure. After scouring the cemetery and church records in search of her date of death, her will was found. She left her estate to two charities. McFeely emphasised that if making a charity the beneficiary of an estate or copyright, make sure that they want the burden. They inherit the copyright valuation, state it as an asset and pay inheritance tax on that sum. Finally, all parties were contacted, and they were shocked to learn that they are heirs to Henry’s estate. IVARO was recommended as an agency that could represent them and this arrangement has worked well, with Paul Henry being IVARO’s most commonly used artist. The case of tracing Paul Henry’s copyright heirs illustrates the often-complex scenarios that require NGI staff to act as detectives or interpreters of the testate. Copyright last for 70 years after an artist’s death. McFeely’s insights highlight the fact that an artist’s will is not necessarily for oneself; it is part of a bigger picture aimed at preserving cultural legacies and the life stories of artists for the future. In fact, this notion of the ‘afterlife’ of an artist’s legacy underpinned the conference as a whole, providing an important point of convergence for the various legal, financial, archival and artistic perspectives. As stated by Ní Anluain, it is commonplace for writers to bequeath archival collections or estates to institutions like libraries or universities. However, to begin having these conversations suggests that there might be a coming of age within the visual arts community. Preparing your estate and “putting things in order” requires an administrative mind. Artists were advised that it would be in their best interests to start having these conversations with professionals in advance, and to contact representative organisations like IVARO, who are there to advise and support. Joanne Laws is Features Editor of the Visual Artists’ News Sheet. Leave recorded instructions for posterity. Assemble a categorised inventory of artworks. Plan an archive – consider donating your artistic documentation and printed matter to a scholarly archive. Consider separating the artistic estate from other assets. Tangible assets include: immovable (e.g. real estate); moveable (e.g. tools and equipment); and artworks (are they finished or unfinished? For sale or not for sale? It is difficult for a family to make these decisions afterwards). Get detailed and unambiguous instructions from the artist while they are alive. Get agreement or consensus from the family, where possible. It is not always necessarily to achieve full unanimity, but it is important to make sure that everyone agrees to operate without emotion, as shareholders. Appoint carefully selected executors or trustees – not family or friends, as they may not have the skills to manage it. Executor should not have a professional relationship with the estate. Professional conflicts of interest should be wilfully avoided from the outset. A representative of family can sit on the board. Seek professional legal advice – Professionals need to be carefully selected and once you professionalise the model, they are accountable to the family. Appoint independent neutral experts on a consultation basis. Foundations have charitable objectives and can be developed in a style specified by an artist in their will. Foundations are set up by deeds of trust and trustees are necessary. The choice of executors/trustees is critical, and benefactors can also be one of the trustees. Foundations are more expensive to set up and maintain, as there are compliance costs involved. However, foundations are less scrutinised by tax – accounts need to be filed as charitable assets. A limited company is an ongoing trading vehicle. It is easy to set up, the rules are well-established, and the main objective is profit. If the aim is to create or manufacture extra editions or generate a higher profile for the estate, then it is often better to set up a limited company. You need to consider the length of time someone will manage an estate – will it be in perpetuity or fixed-term? Plan an exit strategy, such as giving an estate to an institution (a library, archive, museum, university). Gifting items to a public venue will ensure that they are free of tax. Managing an artists’ estate should not be driven by law; rather, law should be used as a tool to help a legacy be created and managed efficiently.